This 2008 horror movie never quite got off the ground thanks to one of the most ridiculous sounding titles in recent memory. It is, however, the exact title of Clive Barker's short story that inspired it. The Clive Barker of "Hellraiser" fame. This is far from a cheesy B-movie, but an intense, gore-filled subway trip to hell. 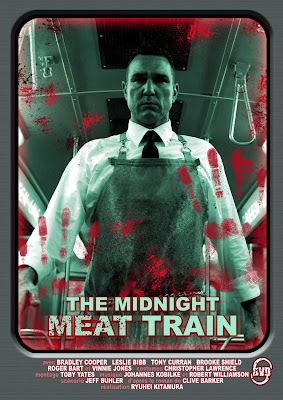 "The Midnight Meat Train" stars Bradley Cooper, who just recently won the Best Actor Oscar for "Silver Linings Playbook". Needless to say, this is a much different movie. 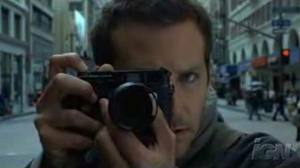 He plays Leon a struggling New York City street photographer, who lives with his girlfriend Maya in a small apartment. In this digital age, Leon still shoots with black and white film and develops his prints in his own darkroom. Because watching someone sitting in front of a computer for hours using Photoshop just isn't cinematic enough I guess. The film is becoming a lost art, but hopefully, it will never completely die. After failing to get into a gallery show, he turns his focus to the subway system. He catches a group of guys attacking a woman and shoots it, the thugs do let her go but then he reads in the newspaper that the girl is now missing. The museum curator loves Leon's new work and encourages him to go deeper. This is where we meet the mysterious Mahogany, played by brutish Vinnie Jones. Mahogany works as a butcher by day and rides the subway by night where he brutally murders late night commuters. His weapon of choice is a steel mallet to smash in peoples skulls, which we see frequently and in slow motion. Once Leon discovers him and what he does it becomes his obsession to follow and photograph him. Curiosity drives the photographer, and the camera acts as a sort of barrier between you and the subject. Leon does, however, go to the police with these disturbing finds but they brush him off like dust on a negative. When Mahogany becomes aware of Leon, a deadly game of cat and mouse ensues. The gore and effects are pretty effective and are done with part practical effects and part CG. The acting is top notch and not what you would expect from such a gory movie. Mahogany only says about two words in the whole film, but he is quite the screen presence. Almost like a Jason or Michael Myers type character. The ending is just as intense as the rest of the film and does explain a lot. It's almost like a mythological conspiracy. 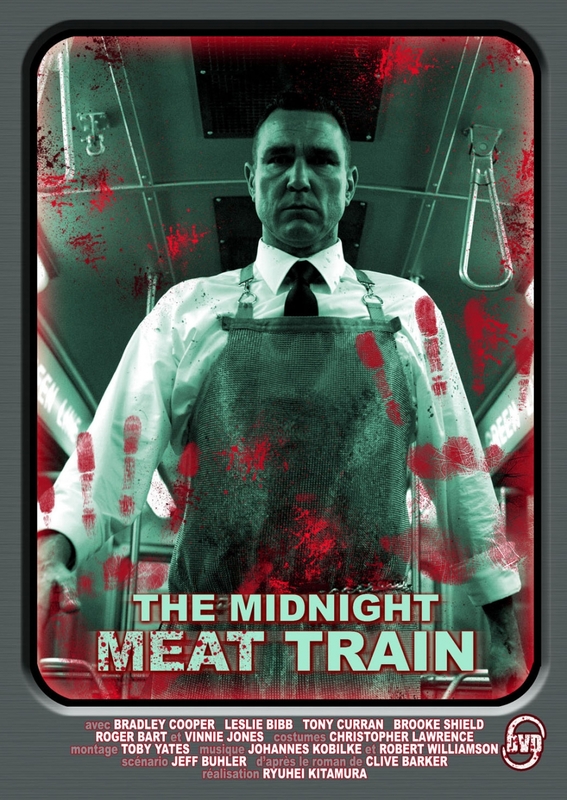 "The Midnight Meat Train" is available on DVD, so if you want to see Bradley Cooper in something other than those "Hangover" Movies check this one out. "Hellraiser" Starring Pinhead and the Cenobites!